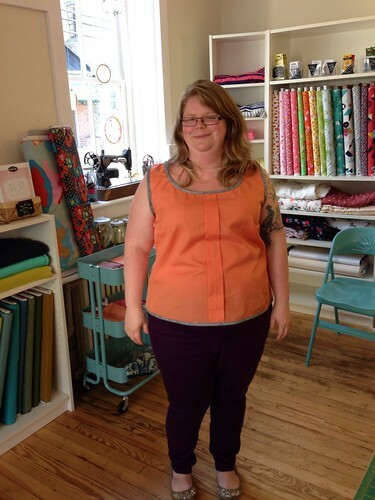 I can’t believe I almost forgot to blog about my foray into garment sewing! 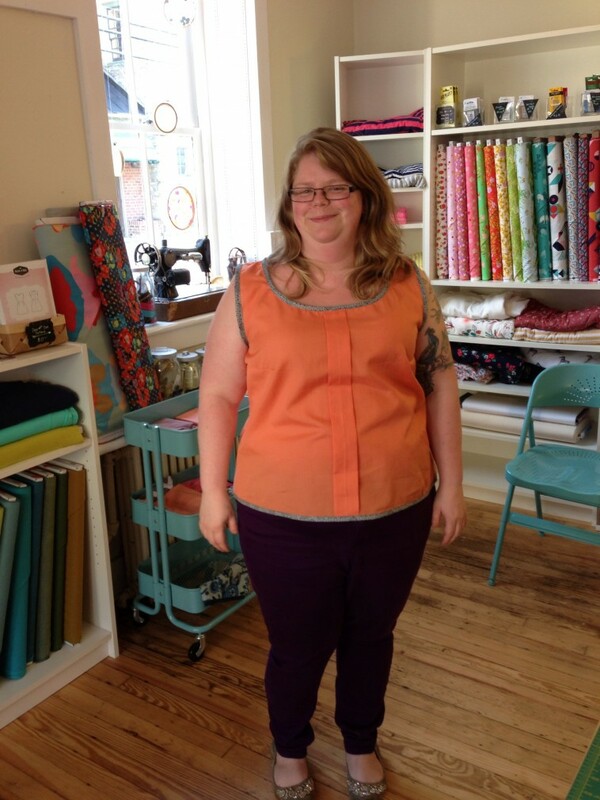 The fabulous Nicole of Finch Sewing Studio in Leesburg, VA helped me make a Sorbetto Top from Colette Patterns back on the 9th of August. I took some painkillers to get through it since it was just a week after I hurt myself, but I had a blast. The studio is beautiful; I learned a lot, including about fit and pattern grading; and I have a fabulous new shirt (from my stash!). I have a goofy look on my face, but here it is! Coral Oakshott for the body and Dear Stella Ikebana Labyrinth in Charcoal for the facing. I couldn’t have done it without Nicole, but thanks to her I feel confident enough to make another one soon! If you’re local to the DC area go take a class from her!